Would you also like to experience the feeling of painting, to be able to paint some projects by yourself? For finding inspiration, or learning about different techniques, the workshops below can be very helpfull to guide you through the process. Do you prefer to take part of a real-time workshop? Contact your local dealer, various dealers organize regular workshops in their store or studio. Sign up for our blog and stay tuned with the latest projects and new inspiration! Find the original publication on the blog of deeplydistressed.com. The charm of an old house is in it’s creaking floor, lived walls or worn staircase. Piece by piece elements you won’t find in a new-built house. Althought, with the right materials, like lime paint, there is some magic to do. We grabbed our paintbrush and gave the walls and doors in this living room the look of an old home. 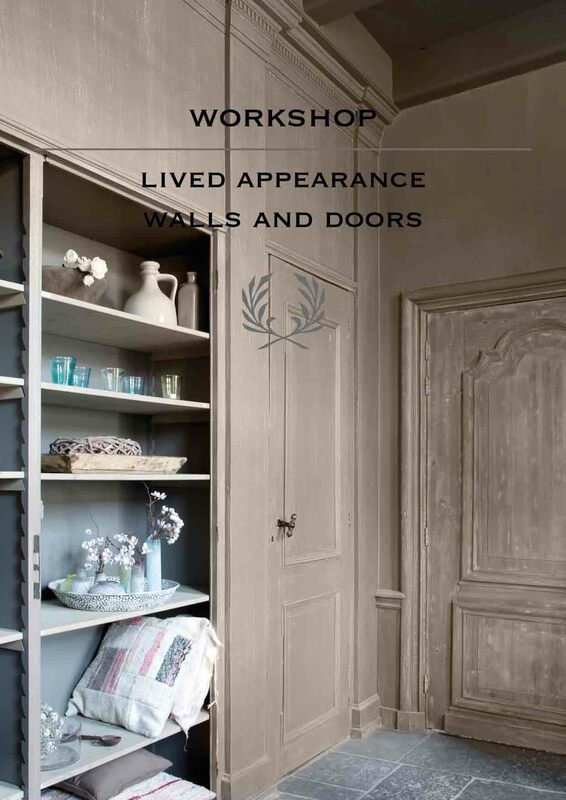 This workshop was published in Decoreren Landelijke Stijl. It is super easy to give old furniture a new life. 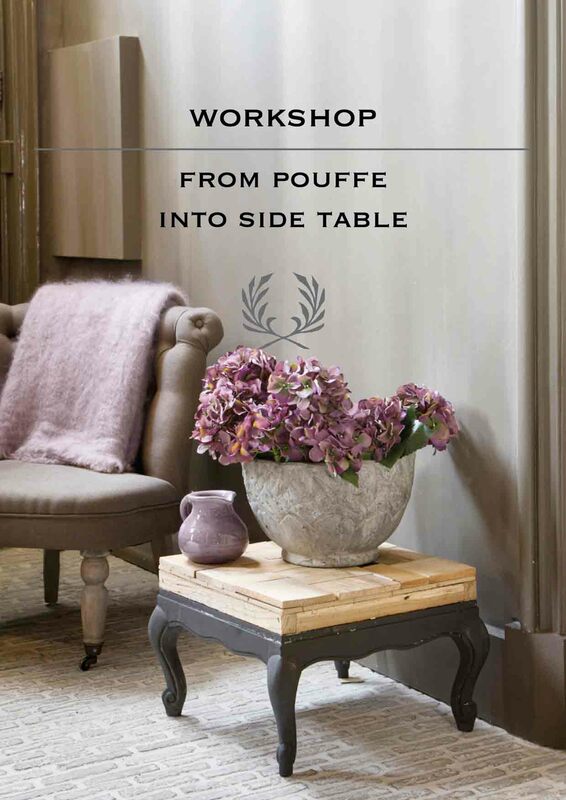 In this workshop, we create a side table out of an old pouffe. This workshop is published in Decoreren Landelijke Stijl. It's pretty easy to turn old furniture pieces into new gems by simply painting it with a new and fresh colour. Souraya chose to paint this wooden stool, which she got from her aunt, in colour Poetic Blue. 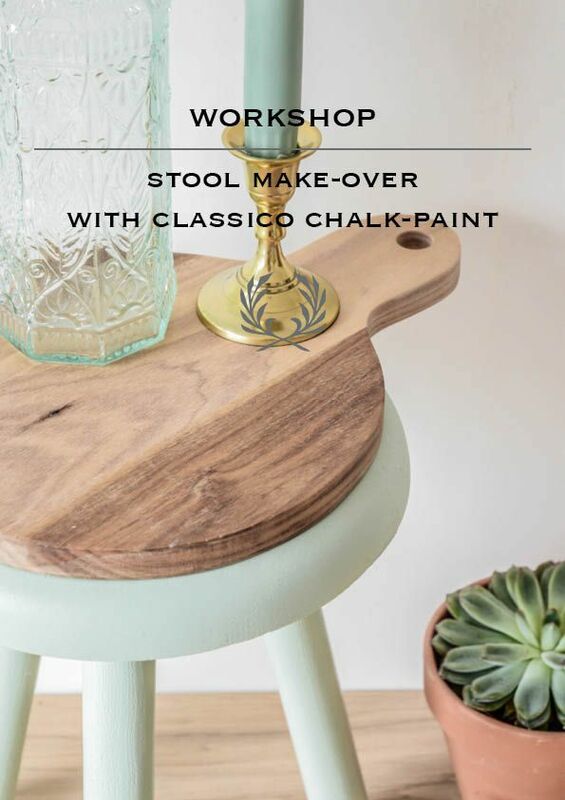 She turned this old stool to a fresh and trendy eye-catcher, providing a subtle colour accent to her space. Click on the workshop to find out how she achieved this beautiful result. Find the original publication on the blog of Binti Home. Sometimes you want something new, something fresh. By changing just a few small items, the whole room can be transformed! Souraya creates a fresh look with some new chairs, new accessories and a new colour on the wall. 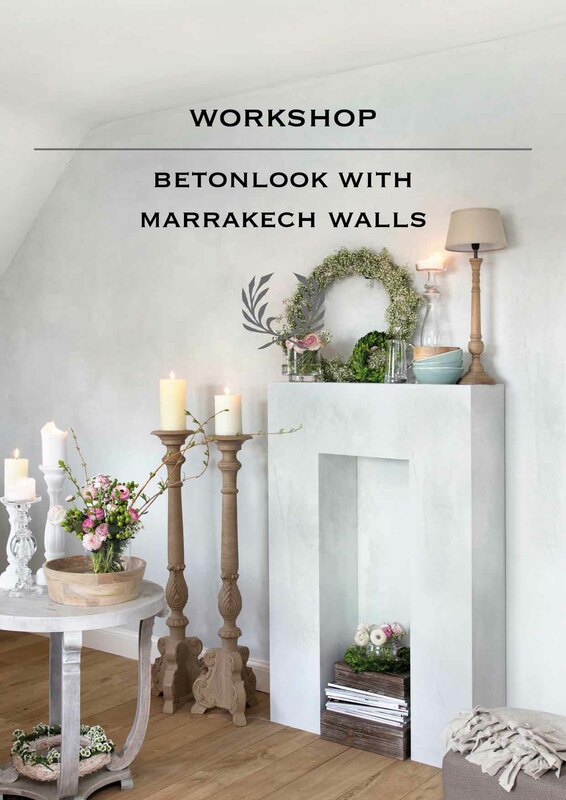 This workshop is published on the Binti Home blog. A Christmas tree, not green with branches and needles this time. But made from wood in trendy colours. 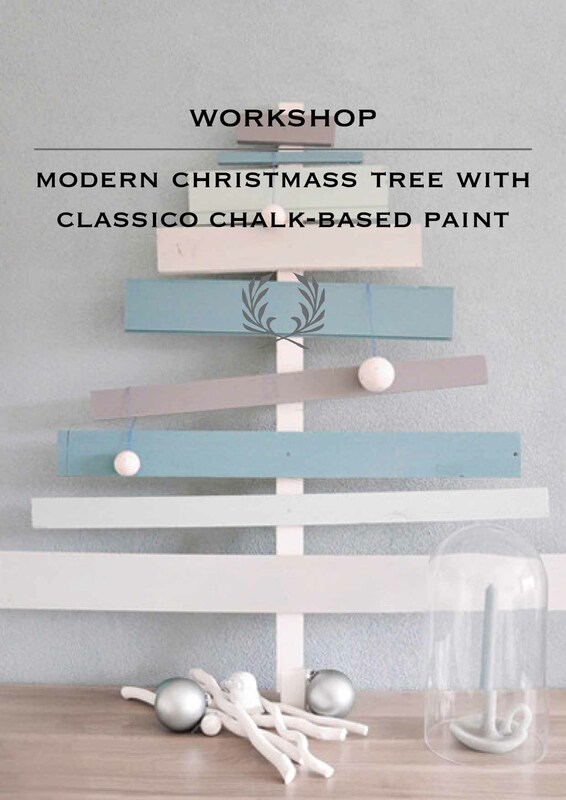 This modern version of the Christmass tree is easy to make by yourself. Take a look how Souraya made hers, in green, blue and grey. 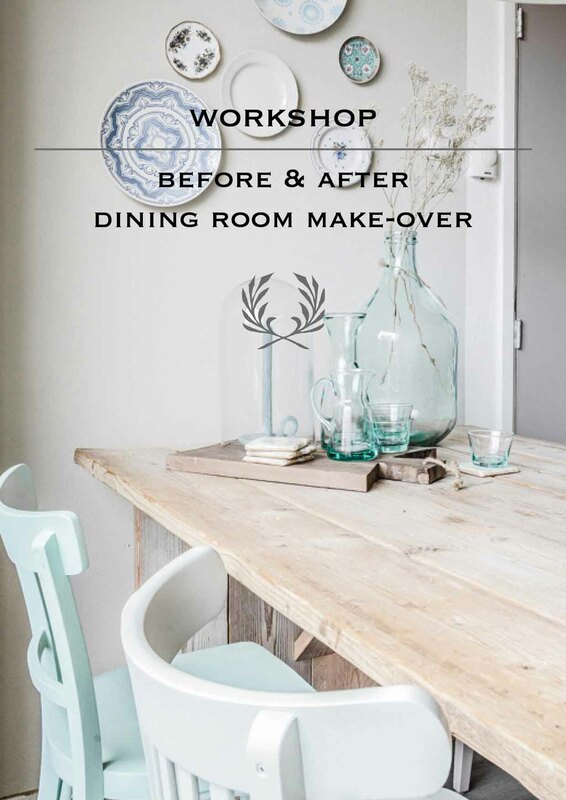 This workshop is published on the blog of Binti Home. 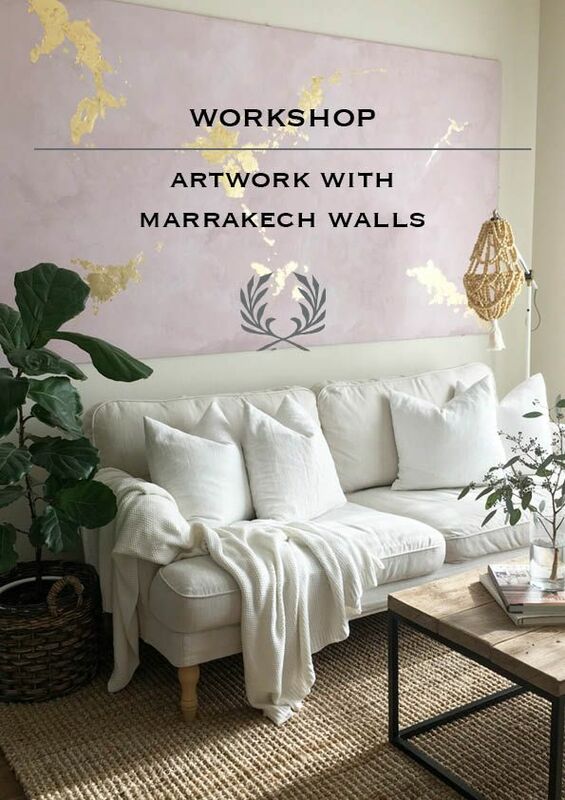 In this workshop, you learn how to create your own fire mantle, and how to apply Marrakech Walls paint.